Before starting design of any component it's imperative to understand how it's going to be used or abused. 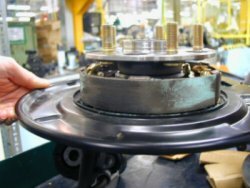 After many years in the industry Engineering Inspiration understand braking component requirements and can work with your design engineers to ensure cost effective components which perform correctly in service. Engineering Inspiration can create suitable testing regimes and specify or develop rigs and equipment to ensure components are correctly validated prior to full production start or before accepting revised designs or production processes.